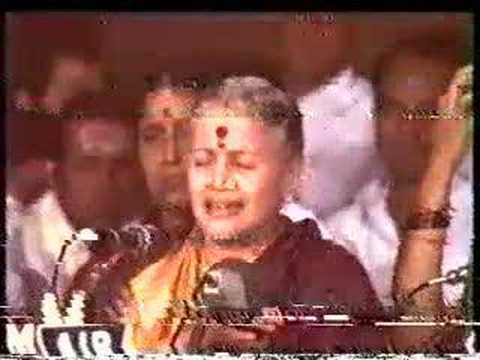 Madurai Shanmukhavadivu Subbulakshmi was born on September 16, 1916 in Madurai, Madras Presidency. She was born to Shanmukavadiver Ammal, a veena player, and Subramania Iyer. 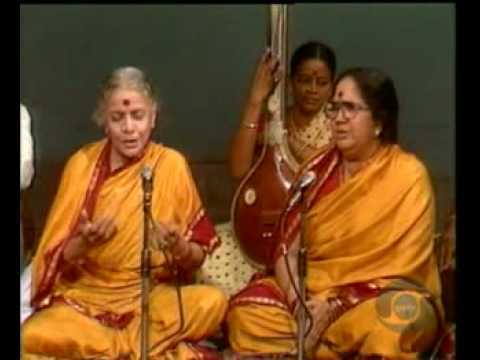 Subbulakshmi started learning Carnatic music at an early age. She was trained in the genre by her mother and later under Semmangudi Srinivasa Iyer. She also learned Hindustani classical music under Pt. Narayanrao Vyas. Subbulakshmi also learned Sanskrit and Telugu. She was married to Kalki Sadasivam. They had two children - Radha Viswanathan and Vijaya Rajendran. She died on December 11, 2004 at the age of 88 years following various complications. Subbulakshmi has made phenomenal contribution to the world of music. The legendary Carnatic musician enthralled audiences at home and abroad for over 5 decades. Her first recording was released when she was 10 years old. Subbulakshmi gave her first recital of bhajans at the age of 13 years at the Madras Music Academy. Her performance was widely acclaimed and she became one of the leading Carnatic vocalists. She later became famous for her soulful rendering of meera bhajans. MS has the distinction of being the first woman to have presided over Music Academy Conference in Madras in 1968. She gave the inaugural concert at the India Festival, London, in 1982, and has also performed in Tokyo, Bangkok, Hong Kong, Manila, Singapore and Malaysia. She performed in New York, Canada as India’s cultural ambassador. She performed at Edinburg International Festival of Music and Drama, Carnegie Hall, New York; the UN General Assembly on UN day in 1966, Royal Albert hall, London, and Festival of India in Moscow. She had been performing regularly at Thyagaraja Festival was given the title of “Sapthagiri Sangeeta Vidwanmani”. Her famous renditions of bhajans include the chanting of “Bhaja Govindam”, “Vishnu sahasranama”, “Hari tum haro” and “Venkateswara suprabhatam”. MS Subbulakshmi was the first musician ever to be awarded the Bharat Ratna in 1998. She is also the first Indian musician to be awarded the Ramon Magsaysay award in 1974. She was awarded the Padma Bhushan in 1954. The government of India honoured her with the Padma Vibhushan in 1975. MS was awarded the Sangeet Natak Academi award in 1956. She received the Sangeetha Kalanidhi in 1968. She was awarded the Kalidas Samman in 1988 and the Indira Gandhi award for national integration in 1990. She was awarded honorary degrees from many universities in recognition for her contributions to Carnatic music. Engraved gold coins were launched as a tribute to MS.